As the national economy improves, we are beginning to see some improvements in the Illinois real estate market. 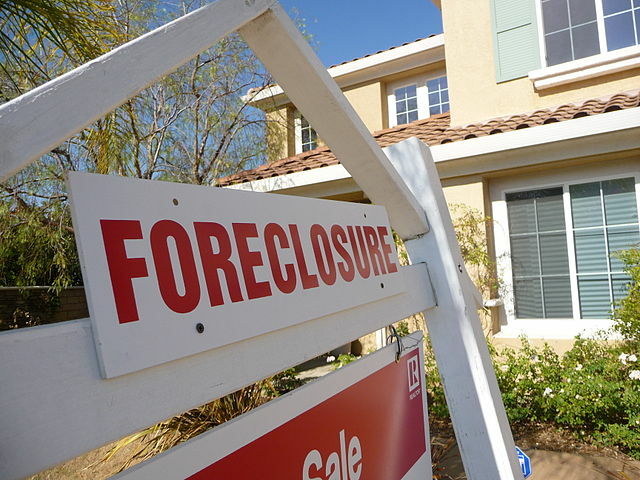 The number of Illinois homes that have entered into the foreclosure process fell 10 percent since May, according to a report by the real estate market research firm Attom Data Solutions. Foreclosures in Peoria are down 23%, foreclosures in and Champaign-Urbana are down 55 percent, and Rockford, with some of the highest foreclosure rates in the nation, fell 25 percent in the past 12 months ending in May. Attom Data Solutions Vice President Daren Blomquist has said foreclosure starts are a “good barometer of the immediate financial condition of homeowners in Illinois”. Because of the improving economy and falling unemployment rate, people that have bought homes in Illinois since the recession have seen their home values rise. With the improved economy and real estate market, it has become easier for people to sell their homes if they need to, rather than facing foreclosure. “If they do lose their job, they’ll typically have the equity in their home to get out of trouble,” he said Mr. Blomquist. One major problem with home values in Illinois is that the high property taxes tend to suppress home values, thus lowering equity. Even with the lowering number of foreclosures, Illinois has the sixth-highest foreclosure rate in the U.S. There are options out there for many that are facing foreclosure on their homes. Two of them are very similar and often get confused but they are both helpful methods that can help prevent you from going into foreclosure. Those two options are short sales and deeds in lieu. A short sale is when the homeowner sells their home to a third party for less than the money owed on the mortgage. The lender agrees to accept the proceeds made in the sale, in exchange for releasing the lien on the property. More than likely you will need to provide that there is an offer from a potential purchaser as well on the application. Lender’s usually want there to be an offer before they consider a short sale. An exception to this is with the government’s Home Affordable Foreclosure Alternatives Program (HAFA). This aids the lender in approving of the short sale terms before the home is listed and the lender accepts the short payoff in full satisfaction of the mortgage. HAFA also prevents the lender from coming after the seller with a deficiency judgement. The deficiency is the difference between the amount received in the short sale and what is actually owed on the mortgage. Many states prohibit deficiency judgments after foreclosures, but not many do for short sales. Deficiency judgments by state. To avoid a deficiency judgment, the short sale agreement must expressly state that the transaction is in full satisfaction of the debt and that the lender waives its right to the deficiency. Deed in lieu is another option to help you avoid foreclosure if you can’t sell your home through a short sale. A deed in lieu of foreclosure is a transaction where the homeowner voluntarily transfers the title to the property lender in exchange for release of mortgage obligation. If you are approved, you will receive two documents from the lender, one is a deed that transfers ownership of the property to the lender and an estoppel affidavit. The estoppels affidavit sets the terms of the agreement. It will include a provision that you are acting freely and voluntarily. It may include provisions about the transaction and if it’s in full satisfaction or if the lender has the right to a deficiency judgement. In the case of a deed in lieu of foreclosure, the deficiency is the difference between the fair market value of the property and the total debt. 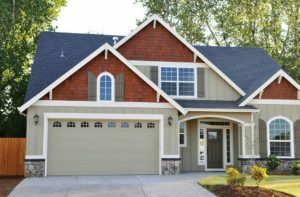 In most cases, a deed in lieu of foreclosure will release borrowers of all liability and obligations under the mortgage, but not always. Most states do not have a law prohibiting a lender from seeking a deficiency judgment. HAFA deeds in lieu are considered full satisfaction of the debt owed. To avoid a deficiency judgment, the agreement must state that the transaction is in full satisfaction of the debt.